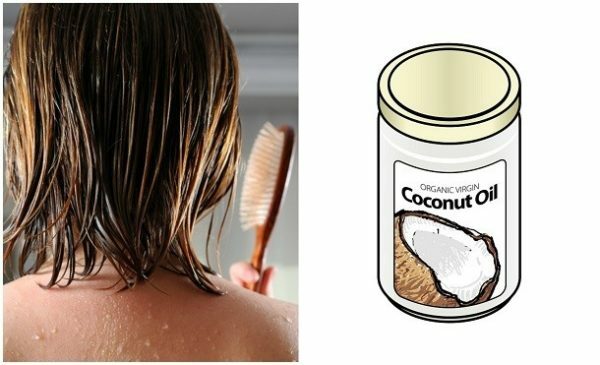 Coconut oil is one of the best oils for hair. It has the power to make your hair shiny, strong and shiny. 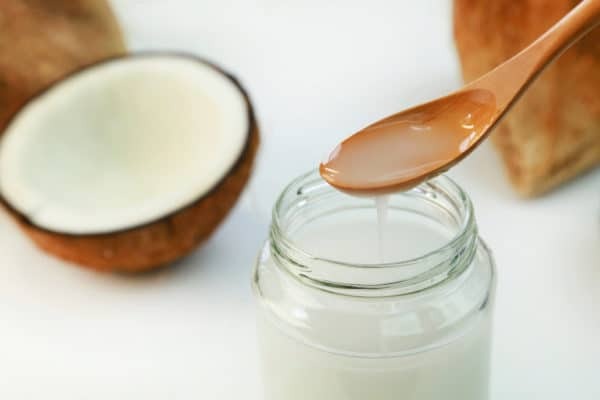 That’s why in this post we prepared you some coconut oil recipes that you can try at your own home. Browse and select one. 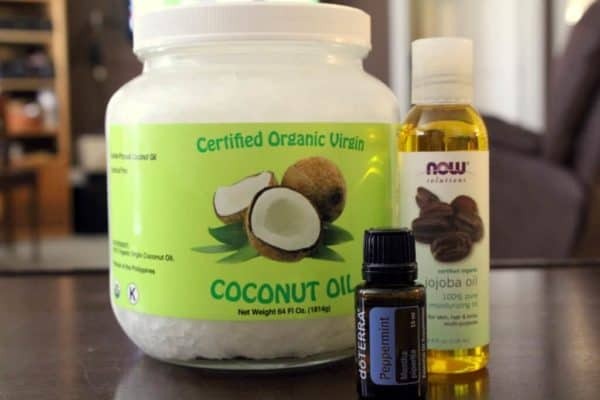 To do this oil for hair growth you need 1-2 tablespoon of virgin coconut oil, 5 drops of rosemary essential oil. Fill a large bowl of warm water. Then take the coconut oil and pour it into the dish with water. Finally, add essential oil and mix well the ingredients. Apply the resulting mixture to the scalp and hair and gently massage for about 5-10 minutes. You can store the oil overnight or rinse with warm water after 1 hour. 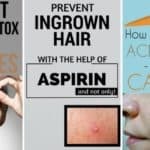 This way you will increase hair growth. Repeat this medicine 2-3 times a week. 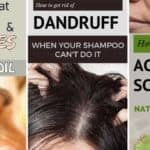 Necessary ingredients to make this oil that will help you get rid of dandruff are 1-2 tablespoon virgin coconut oil, 5 drops of tea tree essential oil and 1 tablespoon fresh lemon juice. Mix all the ingredients in a bowl. 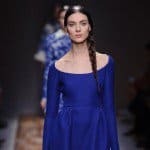 Apply the oil to the scalp and gently massage for 10 minutes. After 1 hour, wash your hair with shampoo. To make the results even better, repeat the procedure 2 -3 times a week. It takes 1-2 tablespoon of virgin coconut oil, 2 eggs and 1 tablespoon of honey. First, put eggs together with coconut oil in a bowl and mix well. Then add the honey to the mixture. 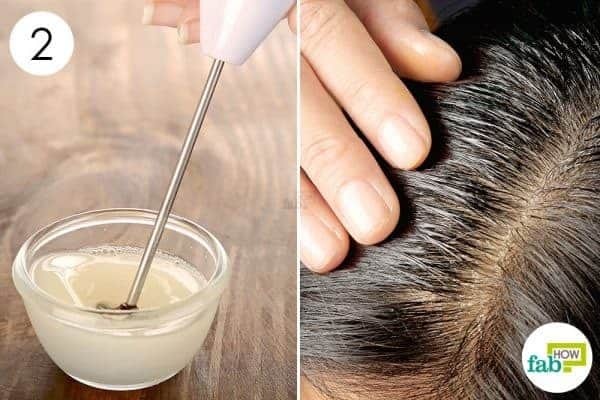 Apply the mixture to the scalp and hair. Let it stand for 30-40 minutes and finally wash with shampoo. Repeat once a week. 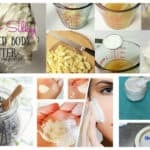 If you have problems with the appearance of acne on the head as well as itching of the hair, do this oil using the following ingredients 1-2 tablespoon virgin coconut oil and 7 drops of tea tree essential oil. Mix 1 tablespoon coconut oil with 7 drops of tea tree oil. Apply daily to the scalp. 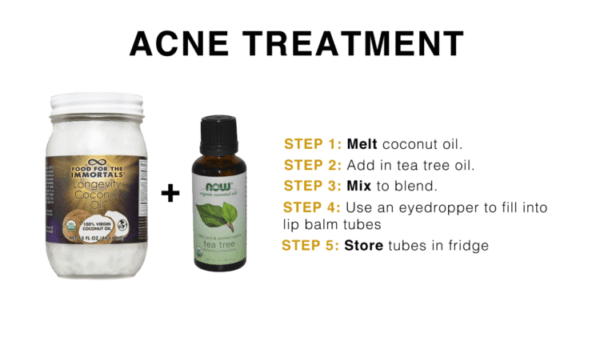 Coconut oil and tea tree oil have an antimicrobial trait that kills the microbes that cause and spread acne. You need 2-3 tablespoon virgin coconut oil, 1/4 cup apple cider vinegar, 20 drops rosemary essential oil and 1/2 cup distilled water. 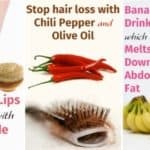 Mix all the ingredients together and apply on your hair. Leave to act for several minutes and finally wash your bone. 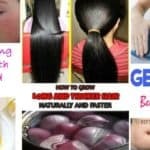 In this way your hair will be shiny and smooth.